Recently, I was invited to take part in a campaign called "Wines with Style", which aims to introduce French Wines to a European audience. "Wines with Style" is designed to offer consumers an easier route into understanding wine, whilst reassuring them that the wine they are buying is good quality. It also aims to demonstrate that french wines can fit perfectly into a modern context. I am a big fan of french wine, as I much prefer old world wine to new world wine. (Old world wine is wine from Europe and the Mediterranean which has been producing wine for many centuries. New world wine is wine from countries such as United States, Australia, New Zealand, Chile, South Africa or Argentina which has been producing wine only since around the fifteenth or sixteenth century). Recently, our ladies circle attended a wine tasting evening where we compared old world and new world equivalents, and the old world wine won every time for me. So I was really pleased when I was sent two delicious French wines to review. I was also asked to suggest some summer dishes which would pair well with the wine. As I have written about before, wine is often marketed as fantastic food to be paired with meat or fish, and the non-vegetarian bbq sauce and mustard ingredients I was sent with my wine would certainly suggest this. Vegetarian food and wine pairings often go unmentioned, and so it is often tricky for vegetarians to pick wine to go with their food, especially if they don't know much about wine and the bottle just suggests white or red meat, or fish. Most wine tastings I have ever attended have suggested pairing foods and wines from the same country together. 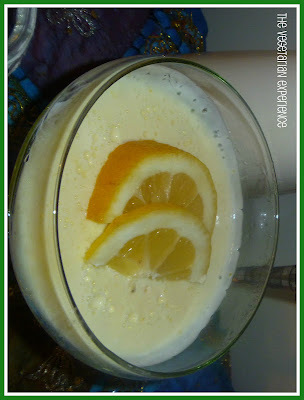 They have also suggested that heavy foods go well with heavy wines, and light foods go well with light wines. There is also a school of thought that young wines pair well with simple foods, whilst older wines pair well with heavier foods. All of these principles can be used and considered when choosing wines which pair well with vegetarian foods. 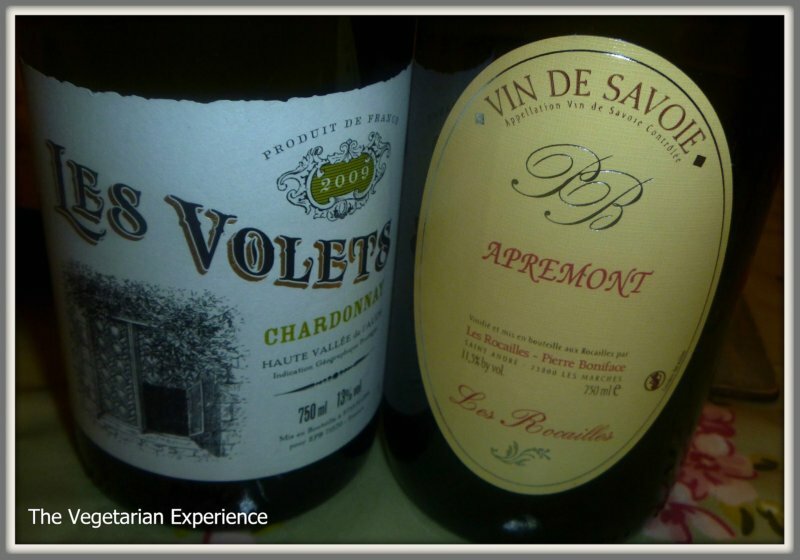 Les Rocailles, Apremont Vin de Savoie 2011 and Les Volets Chardonnay, PGI Haute Vallee de L'Aude 2009. 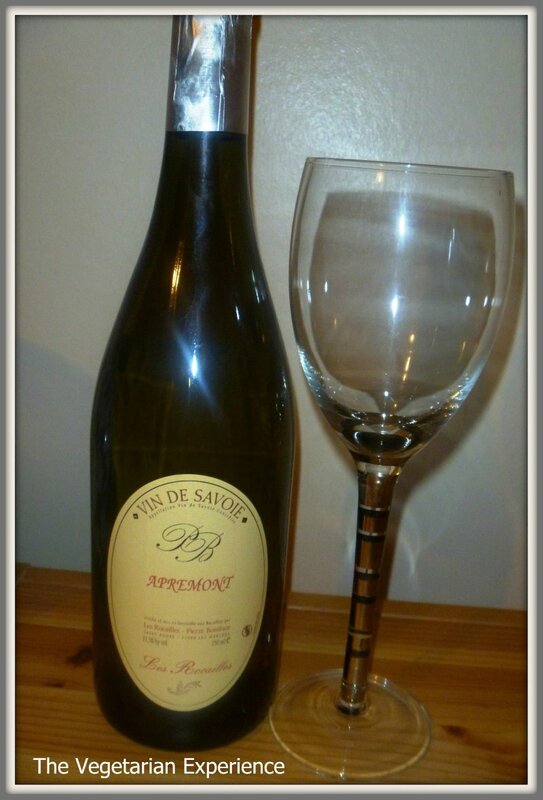 The first wine I tried was the Les Rocailles, Apremont Vin de Savoie 2011. 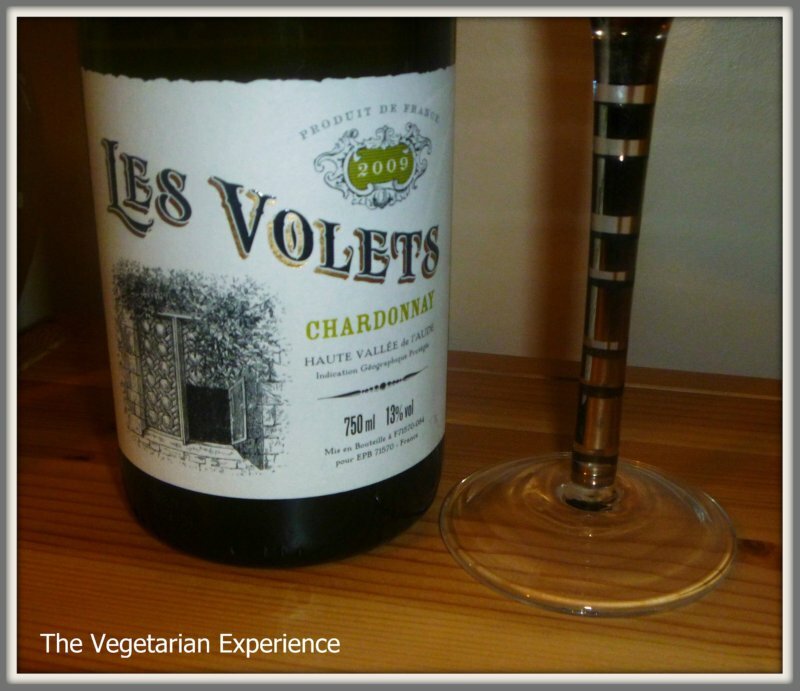 The next wine I tried was the Les Volets Chardonnay, PGI Haute Vallee de L'Aude 2009. This was a clean, crisp, aromatic, oaky, nutty wine, which was very smooth and not to overpowering. As it was so young and crisp, I think it would probably be very easy to sit and drink the whole bottle, as the second glass tasted much nicer than the first. There was a slight taste of oak, which gave it a really lovely flavour, but it did not overpower the wine. Hubby and I really enjoyed this wine and it was our favourite of the two. It would definitely be a wine we would buy again. Chardonnay is often synonymous with being quite dry and leaving a bitter aftertaste in your mouth, but this Chardonnay did neither. It was so creamy, fruity, and just a really lovely summery wine to drink. 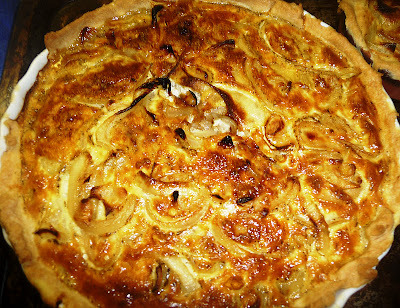 In terms of summer food I would pair this wine with, I think I would pair it with Tarte a la Oignon, as it is a recipe which originates from the same country as the wine and I think that the flavours would complement each other. 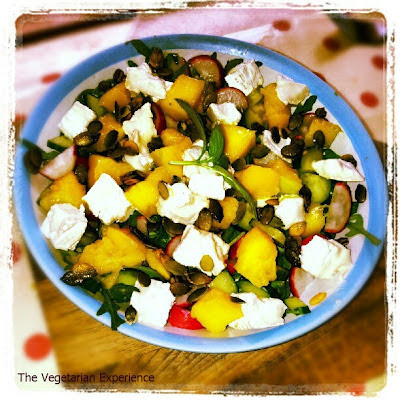 Summer is also often synonymous with BBQ food, and there are some great vegetarian dishes which cook well on the BBQ and would go well with this wine. Mushroom and Stilton Burgers would go well with Chardonnay and can be bbq'd. Or perhaps some portobello mushrooms, stuffed with French stilton or Roule, bbq'd and drizzled with some delicious Balsamic reduction would go well with this Chardonnay. Alternatively, I think that some grilled vegetable kebabs with a sticky balsamic glaze would go well with this wine, or perhaps a whole camembert, stuffed with garlic and herbs, wrapped in foil and warmed on the bbq, then served with a delicious crunchy french baguette and a crisp, green salad. I really enjoyed trying these delicious french wines and considering what vegetarian food I could pair with them. It definitely made me think about enjoying a nice glass of wine with some delicious food in the garden on a summers day! Disclosure: I was sent two bottles of wine, BBQ sauce, mustard and herbs de provence in consideration for review.